If you are like most people, you probably love the brilliance that chrome has to offer. You may be savvy enough to know that spray chrome can give your projects the same luster as is offered by traditional chrome plating. 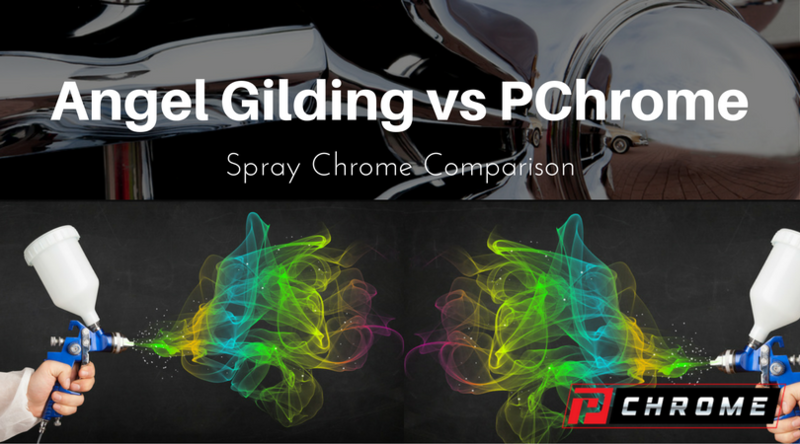 If you are trying to decide whether to choose the spray on chrome offered by Angel Gilding or PChrome, we have compiled information to make the spray chrome comparison between the two companies easier. Based in Chicago, Angel Gilding is a chroming business that offers a variety of spray on chrome kits and products via its online platform. The company sells chrome spray kits and paints that people can use to mirror surfaces. Angel Gilding offers several different products and kits in its line. It offers a basic and a master kit, each providing different coverage levels. Angel Gilding also sells a clear uni-coat kit separately as well as other individual items that are contained in the larger kits. It also sells five different tints that can be used with the clear uni-coat. The company sells a silvering gun kit that is included with the master kit or can be purchased separately. The company offers good support via phone, video and email and offers a flexible set-up process. However, testing has shown that its products do not have good adhesion, meaning that the chrome spray is unlikely to last. PChrome comes in various sizes of its products, including ounces, pints, quarts and gallons. We offer an artist’s starter kit and a professional starter kit. The company also sells refills, and its proprietary dual-nozzled spray gun is included in the professional kits. PChrome has technical support available via email, telephone and video. We also have a flexible set-up process and doesn’t require you to purchase expensive equipment separately. 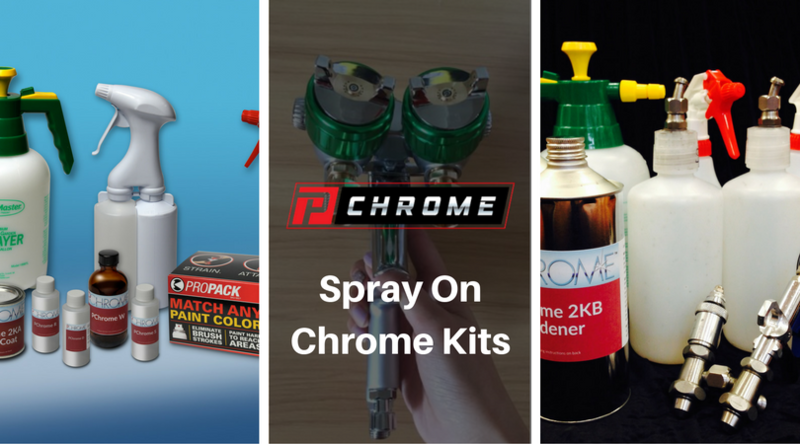 PChrome offers five different tints and is compatible with commonly available tints on the market. Unlike Angel Gilding, PChrome has been shown in cross-hatch tests to have excellent adhesion, making it far more durable. If you have determined that you would like to learn more about PChrome after reading this spray chrome comparison, we invite you to contact us today. Our team would be happy to offer you a quote or to answer any questions.